After two seasons as the owner of the Chattanooga Lookouts, Jason Freier continues to look for ways to make AT&T Field as pleasant as possible, but he realizes the 6,340-seat facility has an expiration date. The Lookouts will start their 18th season at AT&T in April. "If you don't build a ballpark the right way, its shelf life is very short," Freier said this week. "The same year the ballpark opened in Chattanooga, a ballpark opened in Dayton, Ohio, with Chattanooga's park costing around $9 million and Dayton's costing around $25 million. Dayton's park cost more money and was more well-thought out, and it's going to be good for another 25 or 30 years at least, so they are going to get 50 years out of it. "I don't see a world where we get 50 years out of Chattanooga's ballpark, because it was not built to the same standards." The only Southern League teams with facilities older than AT&T Field — which was privately funded before the 2000 season for $10.2 million, according to Times Free Press records — are Mobile (1997) and Jackson (1998). Freier isn't putting a timetable on AT&T Field's viability, other than to say it can be used for several more seasons. The park has been a part of Chattanooga's downtown growth that ignited with the opening of the Tennessee Aquarium in 1992, and it continues to be incredibly popular each April and May. The summer months, however, are not nearly as well-attended, with the majority of the spectators having no relief from the sun and heat during the first several innings. Chattanooga's total attendance of 223,517 this past season was up from the 218,512 who attended in 2015. The average attendance this past season of 3,193, however, was the lowest in the history of the facility. "Everything ages, and this ballpark had certain design flaws the day that it opened," Freier said. "The biggest one is the orientation, and the reason we have a harder time in July and August compared to April and May is very attributable to that orientation. Many teams have the best part of their season during that time because the kids are out of school, and the fact that is harder for us is because the sun angle that causes us the issues there. "We're having to work around the design problems that are inherent to the ballpark." When Freier, the CEO of Atlanta-based Hardball Capital, and business partner John Woods purchased the Lookouts from former owner Frank Burke, it was never the intent to threaten the city to build a new park or else the storied franchise would be moved. That remains the case, Freier said emphatically this week. Hardball Capital helped fund the taxpayer-driven $30.6 million Parkview Field for the Fort Wayne (Ind.) Tincaps, which has spurred more than $100 million in downtown development, according to Hardball Capital's website. Parkview Field replaced a facility, Freier said, that had been built in 1993 for about $7 million when the average stadium was being built for $15 million. "After 16 years, that park was really dated and in need of replacing," Freier said. "I have no doubt that AT&T Field is viable for quite a while longer. For us, the driving force behind building a new ballpark in a town is rarely because the existing facility is not viable. I always feel like that if you do a new ballpark, the reason has to be because you have the right circumstance to where that ballpark will add a lot to that community, and by adding a lot, I mean it will help spur meaningful development in an area that might not otherwise see it. "The commitment we made when we came in was to get in and roll up our sleeves and understand the Chattanooga market well before we can make a decision as to whether it is something in the relatively near future or the much more distant future. I think we've started to understand the Chattanooga market, but I don't know that we're all the way there yet." Freier's most immediate goal for Chattanooga is showing people that Lookouts general manager Rich Mozingo and his staff are being "good custodians of the franchise." 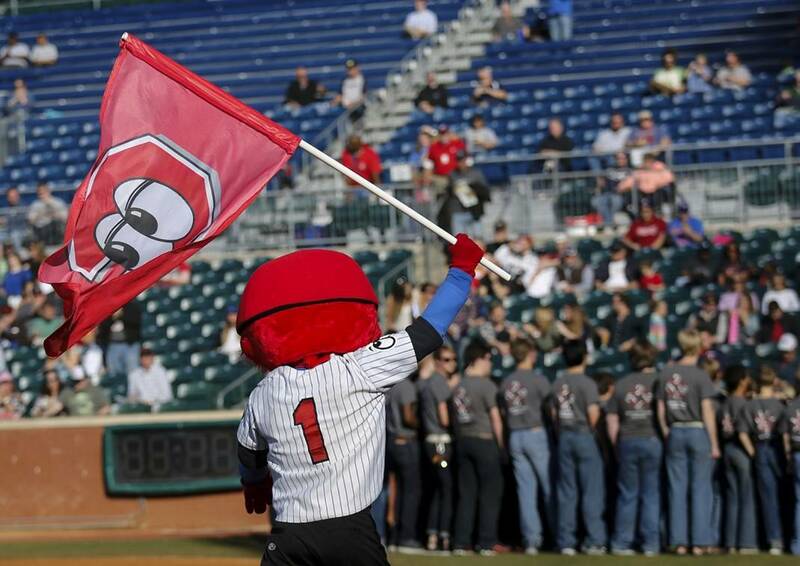 Although attendance slipped this past season and the Lookouts failed to reach the playoffs after winning the 2015 league title, there were plenty of positives from an operational standpoint. The season began with a rebranding, as players wore uniforms that, depending on the game, honored tradition or showcased a modern look that built off the "Nooga Strong" slogan. The size of AT&T Field's gift shop doubled, resulting in "way better" merchandise sales, Mozingo said, and the food selection was broadened to include everything from a Mexican Cantina stand to vegetarian options. There were also more local and craft beers offered on "Thirsty Thursday" and the rest of the week. This year's enhancements followed the 2015 season in which every luxury suite was completely revamped. "I think we continued to make the actual physical experience of the ballpark better," Freier said. Freier believes that if or when there comes a time Hardball Capital looks at a larger investment in the partnership with Chattanooga, residents will see that many investments already have been made, thus developing a trust. "We just finished our eighth year in Fort Wayne, and it is a better park today than when we opened it," Freier said. "It's actually further from obsolescence, because we've invested another $4 million in the last eight years in improvements. Our ballpark in Fort Wayne is going to be a 50-year park. "You get what you design, and you get what you pay for."